The members of ARC Project have been working hard to put their findings into action. For each initiative there are infographics to give you a glimpse into what we have been working on. 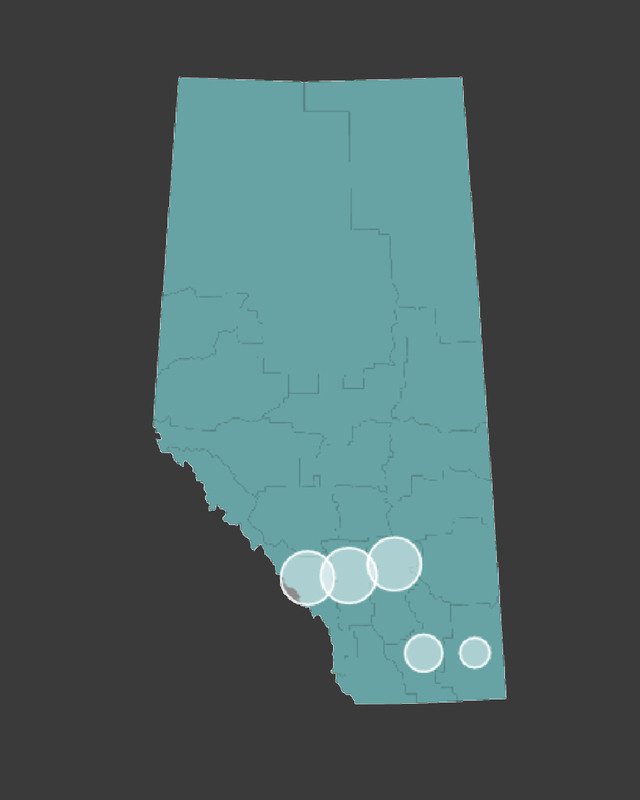 Community Initiatives have to date included 33 participants from 24 agencies comprised of 15 from High River, eight from Calgary and one from Okotoks. 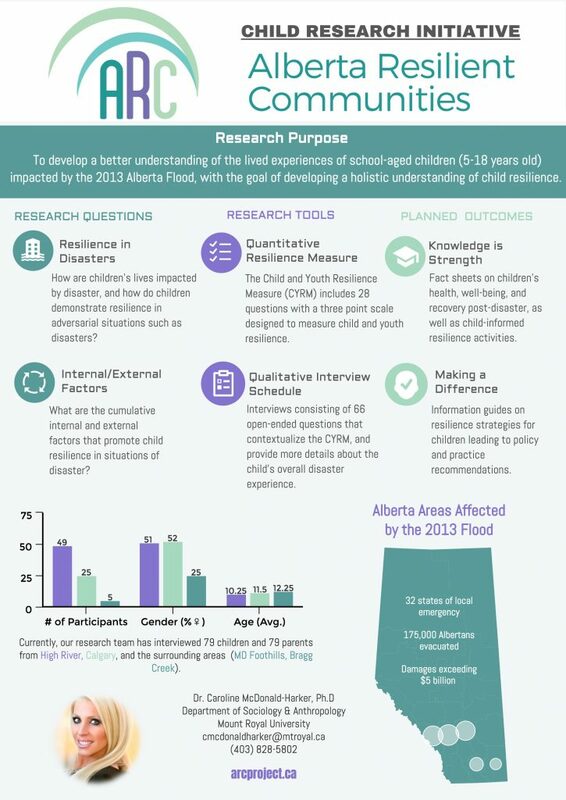 Details on our research for Youth Initiatives are coming soon! 158 participants comprised of 79 children and 79 parents from High River, Calgary and surrounding areas including the Municipal District of Foothills and Bragg Creek. 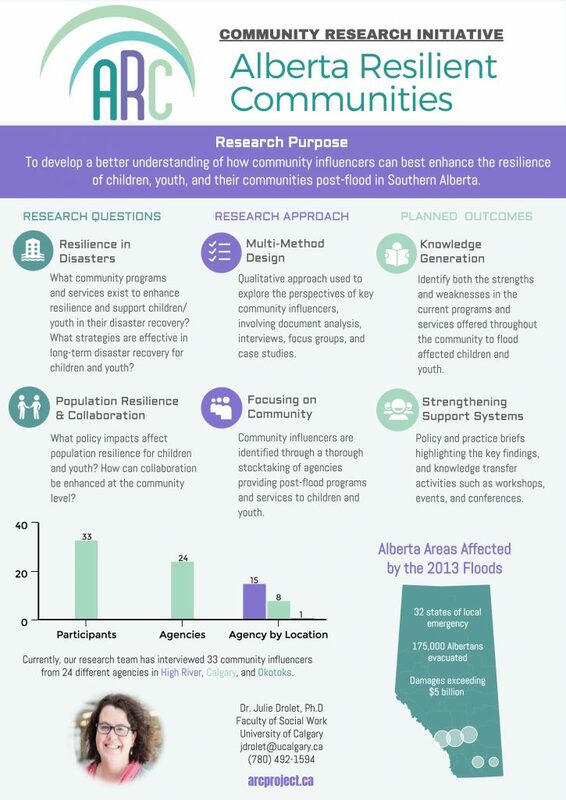 Dr. Caroline McDonald-Harker presents preliminary findings from the child initiative at the Resilient Calgary event hosted by the Centre for Community Disaster Research at Mount Royal University. 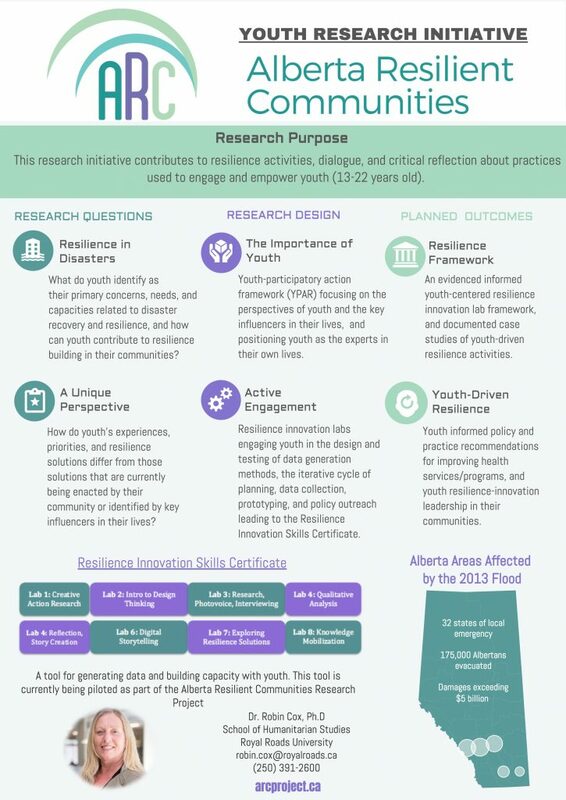 Dr. Robin Cox presents preliminary findings from the youth initiative at the Resilient Calgary event hosted by the Centre for Community Disaster Research at Mount Royal University in Calgary, Alberta. Dr. Julie Drolet and Dr. Robin Cox present preliminary findings from the ARC Project at the Alberta College of Social Workers pre-conference workshop in Calgary, Alberta in Calgary, Alberta.